I have been receiving Julep boxes for several months now and thoroughly enjoy the polish and other bits that come in these lovely boxes. However, I had no idea how much I would enjoy the beauty products that have come in some of them. The first beauty type product I got was part of the nautical welcome box (post on that here) and it was a red lip gloss. I was surprised and fairly excited to find how much I liked it, as it has some glitter in it and for glosses I am typically not a fan. But I really liked it and have since been opting to get beauty products in my monthly box when it's an option. 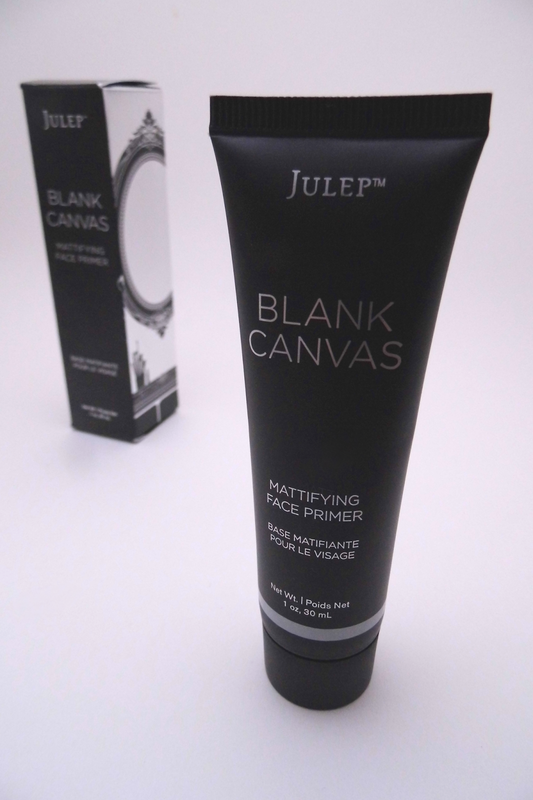 I will be listing the price for each product as stated on the Julep website and a link to the product. 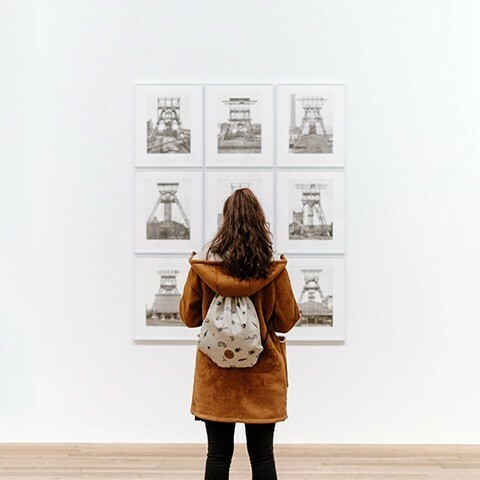 Each listing will have two prices; the price for the general public and the Maven price (for people that join the Julep website). Also, as small disclaimer, I don't get anything when you click on the links below the product descriptions or buy these products. They are strictly there for your convenience. However, if you would like to join this is my referral link and if you do join by clicking on the link I get a $15 credit for Julep. Oh my goodness, it's just great. Both the box it came in and the actual product packaging. The box is adorable, it's mostly matte with a lovely metallic embossed image of a dressing table on one side (does anyone else feel like that is just perfect? I love it ). 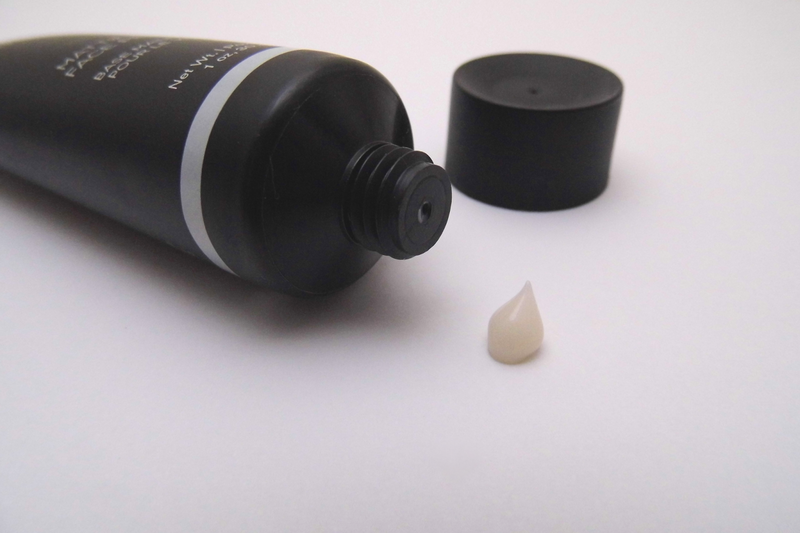 The tube itself is also matte, which gives it a nice soft feeling. That's also nice since the product is mattifying. It's comfortable to hold and to use and doesn't make a mess when you use it. 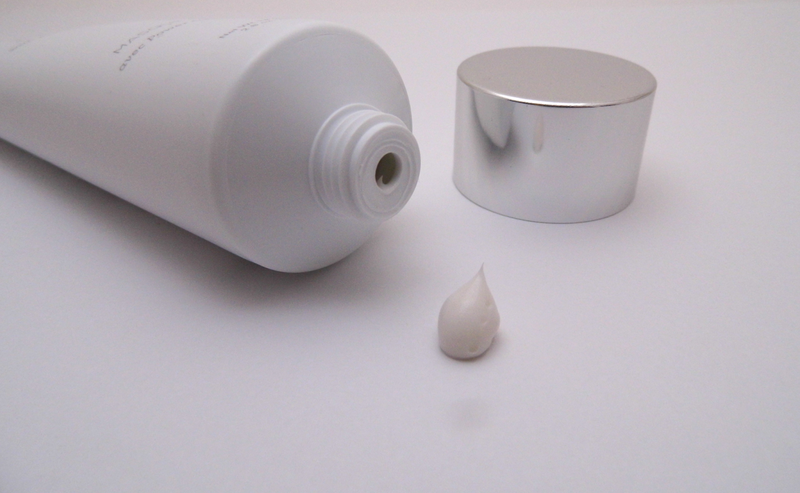 It's a white semi-translucent type cream/gel. It's got a soft feeling about it when smoothing it onto the skin. It goes on quite nicely and it's easy to get a thin even layer (and doesn't take much product to do so). It creates a luxuriously smooth base to put makeup on top of. I even wear it sometimes without anything over top just because I love how soft and lovely it makes my skin feel. From what I have found, with an average day of wear, it stays matte for a while. I can't tell you exactly how long but I would venture to guess 6-8 hours (however I have quite the oil producing skin sometimes, it'll probably work differently for everyone). Overall, I really like this product and would suggest it to anyone looking to try out a new high-end face primer. 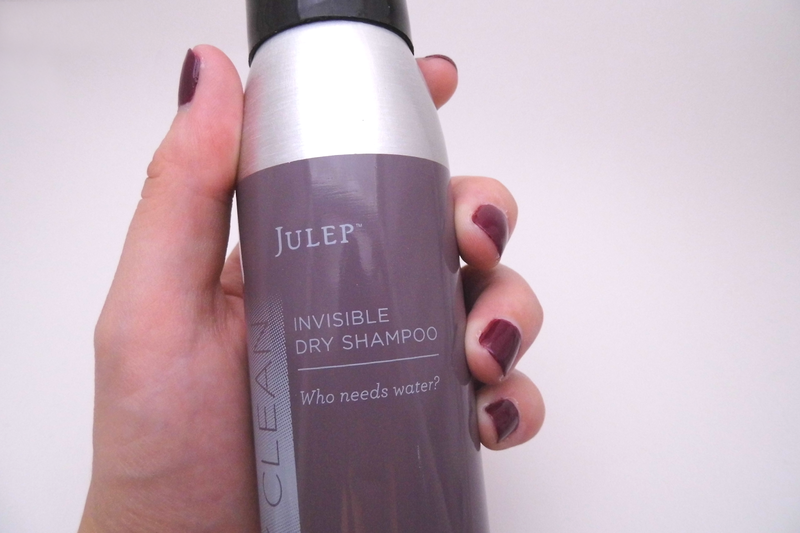 Again, julep is doing it right! This bottle is gorgeous, it's just so nice. It's nice to look at, it's nice to hold, it's nice to use (need I go on?). The pump works well and doesn't make a mess down the bottle when you use it (I have a Garnier one that makes such a mess). All in all, the packaging is both pretty and functional. It has a very slight scent to it that smells like citrus, it's light and I hardly noticed until I thought about it and smelled it. The oil is easy to apply and massage on. 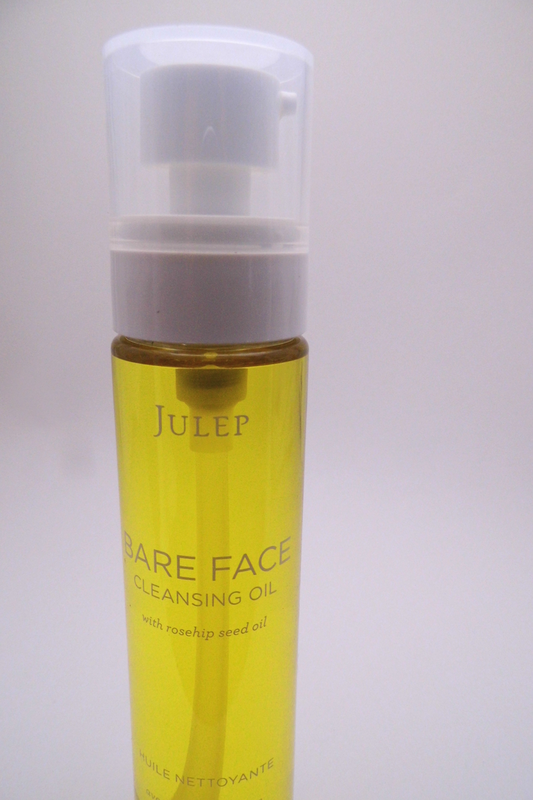 This cleansing oil removes makeup very well. It does a great job with my average daily makeup, which honestly isn't much, but it does a nice job. 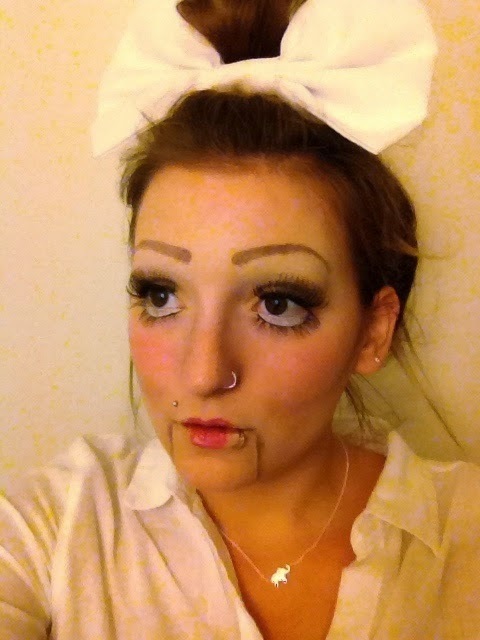 I used it after practicing my Halloween makeup (I was a ventriloquist doll, so lots of makeup) and it still removed the majority, with just a bit of mascara left behind. It emulsifies quite easily and nicely when you begin working water into it and once it's rinsed off it doesn't leave my face feeling like there is a layer of residue left behind. In my opinion this is really nice cleansing oil and for someone who likes cleansing oils and wants to splurge on a more expensive (not to mention gorgeous) bottle I think it'd be great. This dry shampoo is in a nice thick feeling metal can. There's a ball in it (like in spray paint and such) for mixing the product. The spray nozzle works well, though a little hard to push for me. It's not particularly good looking, in my opinion. If nothing else though, it is very well made and feels nice to hold. To be quite honest, I don't think it works that well (or maybe I just can't figure out how to use it?). It seems to do very little. The formula is sort of wet when I've sprayed it on. And once I work it in and let it set, it really doesn't appear to change the way my hair looks. I really don't buy expensive/high end dry shampoo and honestly I've never even looked because I basically use Batiste exclusively (I like it so much I really don't even consider using anything else). For the way this product has worked for me and with the price being what it is I wouldn't suggest it. I'm going to keep trying and will update this if I find the trick. 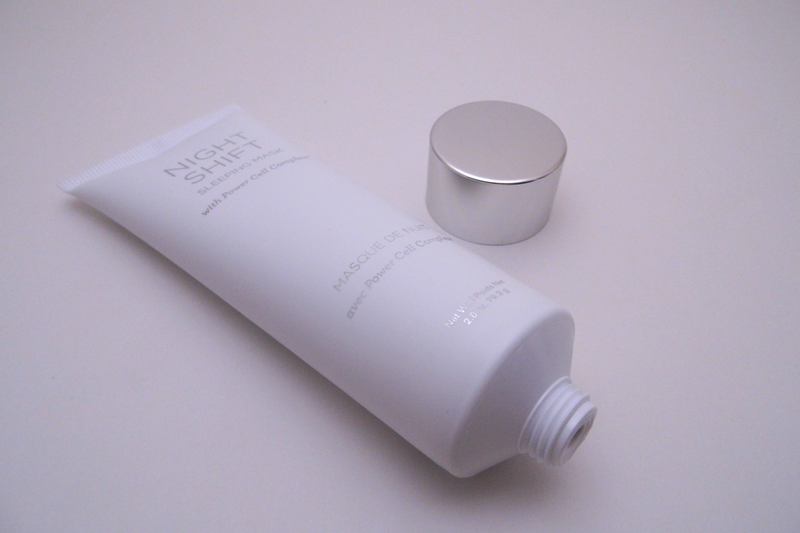 This sleeping mask comes in a white tube with a matte finish and has a silver screw on cap. It is a nice size to hold and to use has and has sliver metallic lettering. Not too much to say here except that it's nice looking and works well. As a note, the first image has a bit of a blue hue and the second image is definitely truer to color. It is a fairly thick cream that is light (if that make any sense) and goes on nicely in a thin layer. I use it after I wash my face at night and put on my usual moisturizer. It doesn't smell like much and the little bit of scent that is does have is benign and definitely not offensive in any way. I found that even after one use my skin actually did feel tighter, smoother, and quite hydrated. After several uses there was a difference in the way my skin felt and looked. My skin seemed brighter, tighter, smoother, felt more hydrated, and more awake after just a couple uses. For me it does do exactly what it says it supposed to on the package. As with the rest of these products, I got this in one of my monthly boxes so I didn't actually 'pay' for it. I did pay for the usual $20-25 for the monthly box, but I didn't pick it out and pay for it specifically. It is a quite spendy product, in my opinion, and my skin probably doesn't 'need' it, however it's really nice and does what it claims to do. For me it is quite a luxury product and I probably wont immediately go repurchase it when I'm out. For some people it may work wonders and be worth the price. If you are interested in trying it and willing to spend the money I would suggest it as a great sleeping mask. On the other hand, I'm sure there are comparable masks that do similar things for a cheaper price (please comment below if you have any suggestions). 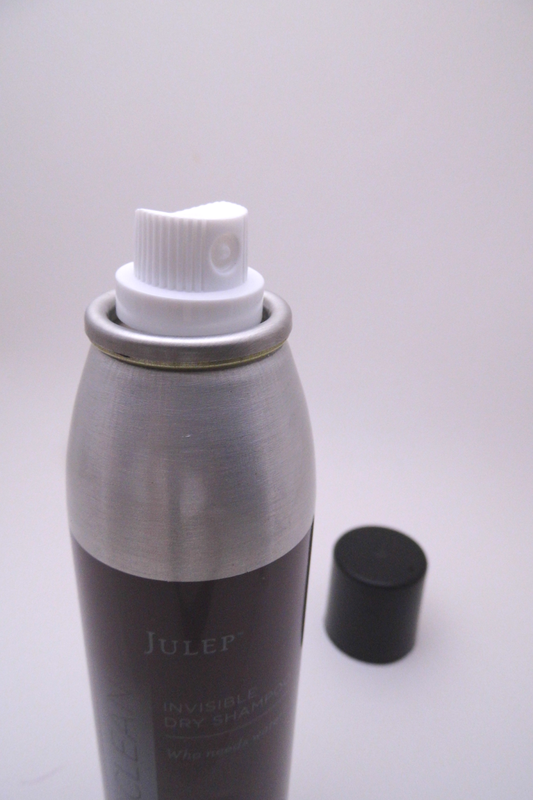 Julep has tons of other stuff also and their polish is gorgeous and is 5-free, vegan, and all (from what I've seen) have O­­2 formulas. The color I'm wearing in these photos is DeAnn and if you want to see it you can find it here. Wow, that seemed like a lot but I really hope that it was informative and helpful for you (and maybe the least bit entertaining).